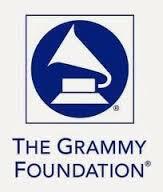 This award recognizes programs that exemplify the commitment to fostering music education in public high schools. Of over 120 nationwide semi-finalists, Steve Acciani, Patty Breitag, and Marie Sato have guided their students towards this achievement. The process involved a lengthy and arduous application including submitting performance recordings. Congratulations again to Ms. Breitag, Ms. Sato, and Mr. Acciani for their hard work!